Ok, so maybe space vet isn’t a real option (YET), and everyone knows you can start a dog walking business or become a groomer if your idea of a perfect job is being covered in dog hair all day. But there are other ways you can get your doggy fix while bringing home the bones. Here are 10 careers that are pawfecto for crazy dog people. Photographers willing to turn their lens on four-legged derpfaces are rewarded with face licks and nose boops. What better way to capture your love of dogs than by documenting memories of them for their owners? Extra brownie points go to those who use their talent for good, like photographer Guinnevere Shuster, whose photobooth style photos made a huge difference in finding shelter pups their furever homes. It would be great if dogs could speak out against abuse and the terrible ways some people treat them, but since they can’t, animal rights lawyers fight the good fight against injustices committed against animals. So if you want to help give pups a voice, while putting bad people behind bars, maybe this is the career for you. If law is not your thing, maybe connecting with the spirit world is more your taste. Regardless of your personal opinion on the supernatural, there is a market for psychics who help people send and receive messages to their deceased pups. DUH. Who knew there was a job that allowed you to pet dogs all day while being surrounded by the craziest bunch of dog people you’ve ever met? 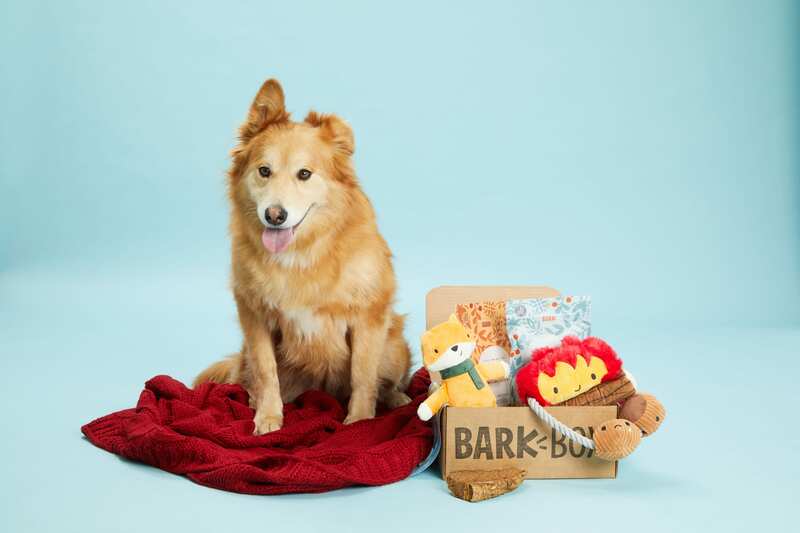 Yep, it’s a dream come true for us BarkFolk to be drowning in dog toys, treats, and design every day. Best part? We’re hiring! Paw on over to our job board to find out more. Anyone who’s ever gotten lost in a good belly rub can attest to the fact that sometimes a helping paw from a furry pal is just what the doc ordered. There are humans whose job it is to train, register, and handle therapy dogs, so if you have a love for helping humans with the power of a tail wag, this might be the path for you. Also known as dog psychologists and dog therapists, these are the folks whose expertise can come in handy when your fluffy pup exhibits undesirable behavior. They can help with separation anxiety issues, resource guarding, and general training, among other things. Alright, so there’s definitely more to it than that. There are some basics you need to cover first, like physiology and anatomy, but the reward is sweet. Making dogs feel better with a magical touch? Such a beautiful thing. Service dog trainers are different from other trainers in that they specialize in choosing and training dogs for specific tasks based on the needs of the person who requires their companionship. Ever watch a dog show and think, “Gosh, those people get to stand there and be around dogs all DAY. SO jealous right now”? (I can’t be the only one.) Dog show handlers are experts in the field of presenting dogs in dog shows. The AKC has a registered handlers program for more information. Your job doesn’t necessarily have to revolve around dogs for you to get your daily fix of doges. Companies like Google, Etsy, and Tito’s Handmade Vodka allow employees to bring their dogs in. Even if you don’t have a dog, you can spoil your coworkers’ dogs, so everyone wins. Do you know of any unconventional careers dog lovers might be interested in? Let us know in the comments below!